A: If you have light colored carpet, you may have experienced these dark lines that appear on the carpet. 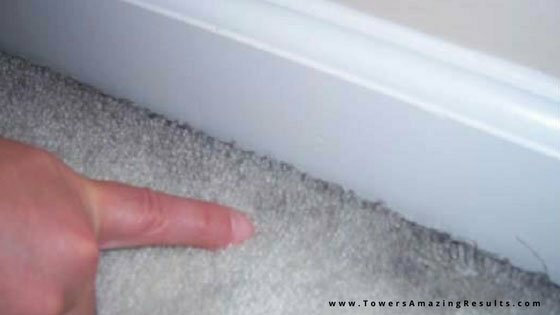 This soiling is called filtration soiling because it comes from air passing through the carpet as it is attempting to get through the crack between the carpet and the baseboard or under a closed door. As the air passes through the edge of the carpet pile, this microscopic soiling is deposited there (hence the term filtration soiling). This occurs over a significant period of time and is not noticed until a build up has occurred.